As Jair Bolsonaro wins the presidential elections in Brazil, fears that his government will foster and legitimize different kinds of political violence are spreading amongst its opponents, and the left more broadly. Groups of peasants and indigenous people fighting of their land, favelados, and black people’s movements are particularly under threat. This piece will focus more specifically on the peasants of the Araguaia, taken as an example of what a renewed state of violence could mean for the lower classes. Properties dedicated to cattle raising dominate the landscape of the southeast region of the Brazilian state of Pará, where fifty years ago there was a dense forest. In the late 1960s, the first militants of the Communist Party of Brazil arrived in the area to establish a rural guerrilla to fight the civil-military dictatorship inaugurated with the 1964 coup. The chosen region, a sparsely populated territory, with barely any state presence, was occupied by peasants coming mainly from the Northeast region of Brazil and local indigenous people. During the first years, multiple strategies were adopted by the communist party to settle its members in the chosen area. They would either farm small plots of land or develop some kind of commercial activities. The plan was to integrate the local community, while training for the guerrilla in secret. The guerrilla movement was still in its preparatory stages, and clandestine, when it was first attacked by the military forces in 1972. The communists were forced to flee their homes to live in the jungle. Although the guerrilla had only about seventy members, and they were very poorly armed, it took the government almost three years, thousands of troopers, and three military campaigns to completely defeat the rebellious movement. Most of the guerrillas were arrested and killed by the military forces. The militaries also arrested and tortured hundreds of local peasants, who had their crops confiscated or destroyed, and their houses burned. The widespread violence perpetrated by the Brazilian dictatorship in the area aimed not only to find out those who were willing to join the guerrilla, but also to get information on its members, and, mostly, to prevent local people from supporting them. Besides, this strategy spread terror among the population, forcing peasants and indigenous people to guide the militaries in the forest, helping in the search for the guerrillas. After the armed conflict involving members of the Communist Party of Brazil, the area remained under strict control of the armed forces, as it was attested by members of the Public Prosecutor’s Office (Ministério Público Federal), in 2001. Moreover, the region was the scene of violent land disputes in the 1970s and 1980s, reflecting the expansion of the agricultural land area into the Amazon region. In this scenario, it is difficult to dissociate the conflicts over land from the action of the militaries in the area. Until recently, people were still afraid of talking about the guerrilla movement. This fear, based on the memories of the military violence against the local population in the guerrilla times, was reinforced by the army control over the region in the following years. 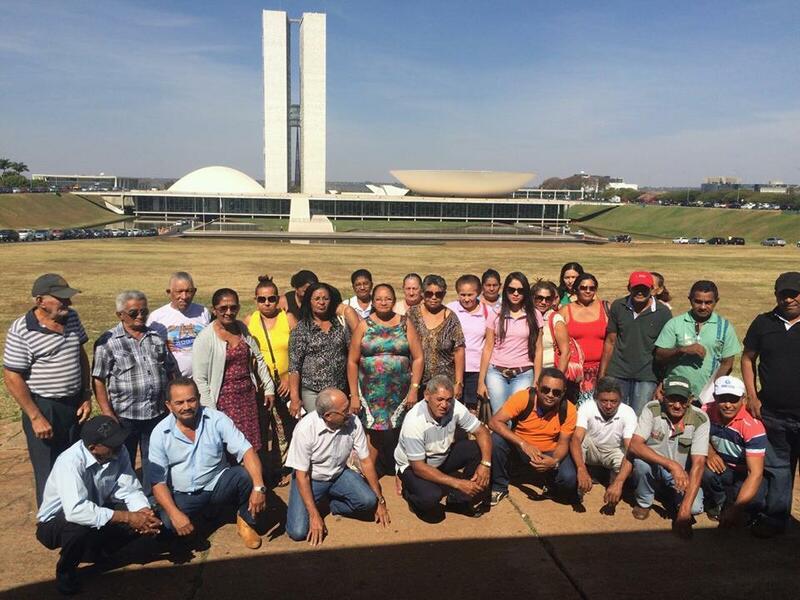 However, in 2005, the Associação de Torturados da Guerrilha do Araguaia was created, to better organize the peasants’ struggle for truth, justice, and reparation. Four years earlier, in 2001, the Amnesty Commission had been formed, under the jurisdiction of the Ministry of Justice. And, in June 2009, the Commission organized an event in São Domingos do Araguaia – one of the municipalities where the guerrillas had lived, and hundreds of men were arrested by the militaries, despite not having any relation to the communist armed movement – when the Minister of Justice Tarso Genro, representing the federal government, asked the peasants for forgiveness, and announced the amnesty of 44 of them. For those peasants who lost years of hard work when the militaries destroyed their houses and crops, and stole their animals, or for those families whose members have physical or psychological scars of torture, the amnesty represents not only the recognition of the injustice of which they were victims, but also the hope of a better future. Even though this kind of economic compensation cannot fairly repair their economic losses and its consequences, for this poor population, it represents the possibility to live their old age without strong economic deprivation, and an opportunity to help the younger members of their family. Despite the fact that all the human rights violations against this population are well registered, in September 2009, the lawyer João Henrique Nascimento de Freitas, a legal adviser to the then-congressman Jair Bolsonaro, obtained an injunction from the Federal Justice of Rio de Janeiro suspending the payment of indemnities to these 44 people – only in 2011, payments resumed. In the meantime, five of them died. Bolsonaro presents himself as the heir of the kind of violence and political repression perpetrated by the Brazilian civil-military dictatorship. Throughout his political career, the former army captain has been one of the most enthusiastic supporters of the authoritarian regime. When Bolsonaro announced his vote in favor of Dilma Rousseff’s impeachment, in 2016, he paid tribute to Carlos Alberto Brilhante Ustra, the head of the Brazilian intelligence and repression agency from 1970 to 1974, and the first military official condemned by the Brazilian justice as a torturer. The memory and the struggle of activists and peasants who took part at the Araguaia Guerrilla were frequently among Bolsonaro’s targets. In one occasion, during a speech in the Congress lower chamber, in March 2009, he argued that “the people should thank, in their knees, the militaries that ended the Araguaia Guerrilla, otherwise we would have a FARC in the heart of Brazil” – while no mentions were made about the human rights violations committed by the militaries in the region. Since 2005, it was possible to find an extremely offensive poster on the door of Bolsonaro’s Congress office in which it was stated that dogs are the ones that look for bones, in reference to the search of the guerrillas and peasants missing from the Araguaia armed conflict. The future president is not the only one with this mentality. The Brazilian armed forces have never taken responsibility for the crimes of the civil-military dictatorship, and have boycotted in many ways the work of the National Truth Commission, created by the Brazilian former president Dilma Rousseff, in 2011. The armed forces did not disclose the documents concerning the military operations against the Araguaia Guerrilla; and, in September 2014, two militaries who worked on these campaigns, the general José Brandt Teixeira and the lieutenant José Conegundes do Nascimento, refused to testify about their activities – the first argued that he would only give his testimony if it was requested by the army command, and the second declared that he would not cooperate with his “enemies”. Furthermore, the final report of the National Truth Commission, presented in December 2014, received the critic of different members of the armed forces, including Bolsonaro – the future president highlighted his opposition to the Commission in 56 out of 500 of his pronouncements in plenary sessions between the years 2010 and 2018. In addition to the 423 registered murders committed by the Brazilian civil-military dictatorship, the National Truth Commission final report presents evidence of torture of over 1800 people, and 6000 accounts of other human rights violations throughout the country. In the Araguaia region, one can observe the maintenance of a structure of violence and political assassinations that goes beyond the authoritarian period. According to the Amnesty International Report 2017/2018, Brazil is the most dangerous country for human rights defenders in the Americas – and in particular the states of Maranhão and Pará. According to the data on the agrarian conflicts in Brazil gathered by the Pastoral Land Commission, between 1985 and 2017, 1.438 bloody conflicts were registered, with 1.904 people killed, 466 of them took place in state of Pará, when 702 people were murdered – in the most recent event with national impact, 10 peasants were killed during an action involving the 29 agents of the civil and the military policies in the municipality of Pau D’Arco. The Bolsonaro administration is likely to foster two kinds of violence: an official governmental repression, and localised armed conflicts related to land disputes. One of his main campaign promises is to facilitate rural famers’ access to guns, so they can defend themselves from the Landless Workers Movement, considered a “terrorist group” by Bolsonaro. It is difficult to say if the future president will keep his promises; however, the rural workers, the peasants, the indigenous people, and other victims of his politics in favour of big land properties and extractivism are known for their capacity for resistance and organization – as in other difficult historical moments, they will fight. It is up to the rest of the world to be alert and to show solidarity with these populations. "Brazil: the country where The Economist became red scum"
Caio Vasconcellos is a postdoctoral researcher at the Campinas State University (UNICAMP). 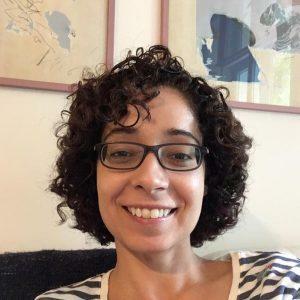 Rafaela Pannain is a postdoctoral researcher at the Brazilian Center for Analysis and Planning (CEBRAP).